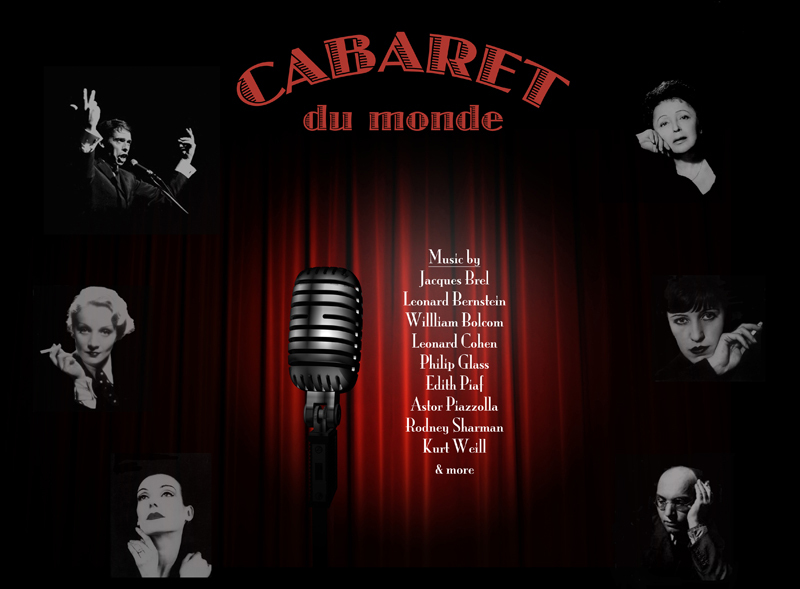 Journey through smoky nightclubs and cafes to hear the popular songs of France, Germany and the Americas. Frank Wildhorn, and a world premiere by Stefan Hintersteininger. Tickets $20/$10 students & seniors. Available at the door. 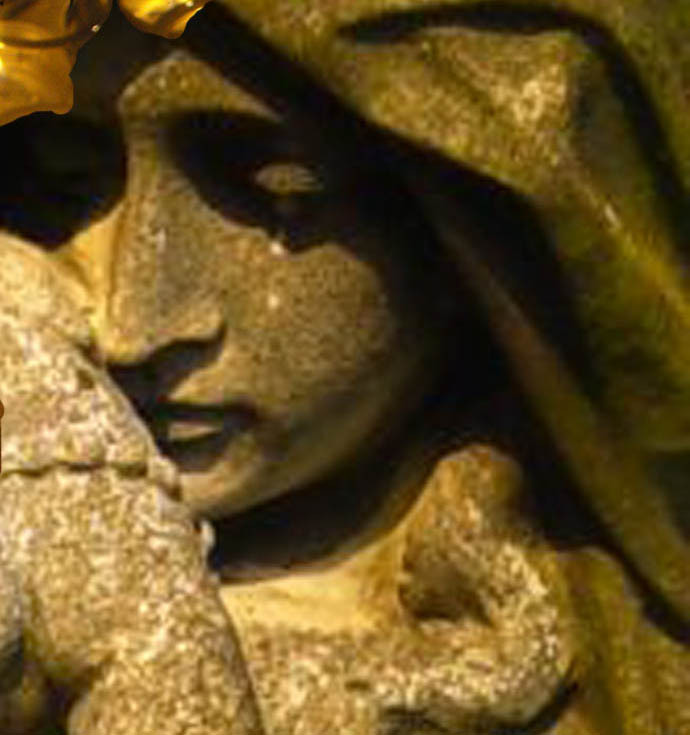 For the past 4 years, Erato Ensemble has opened our seasons with a Vancouver Composers’ Concert. This year we continue that tradition, with a twist. 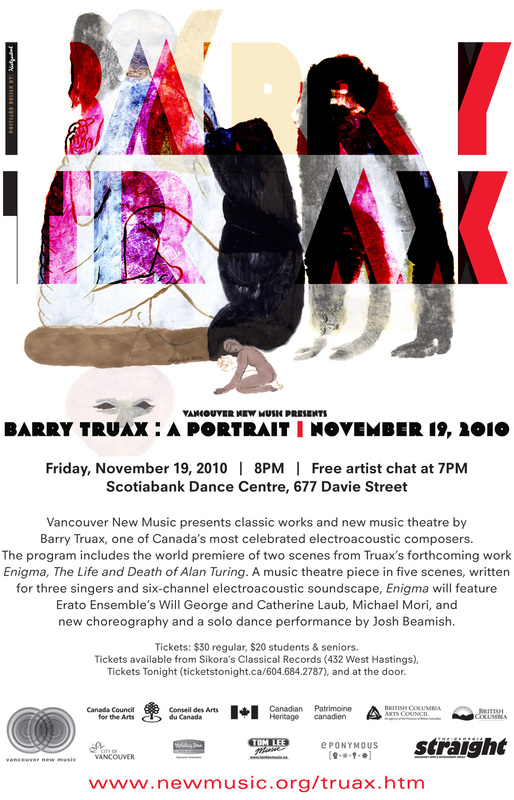 Vancouver New Music has commissioned Vancouver composer Barry Truax to write a new piece for their retrospective concert of his music on November 19. 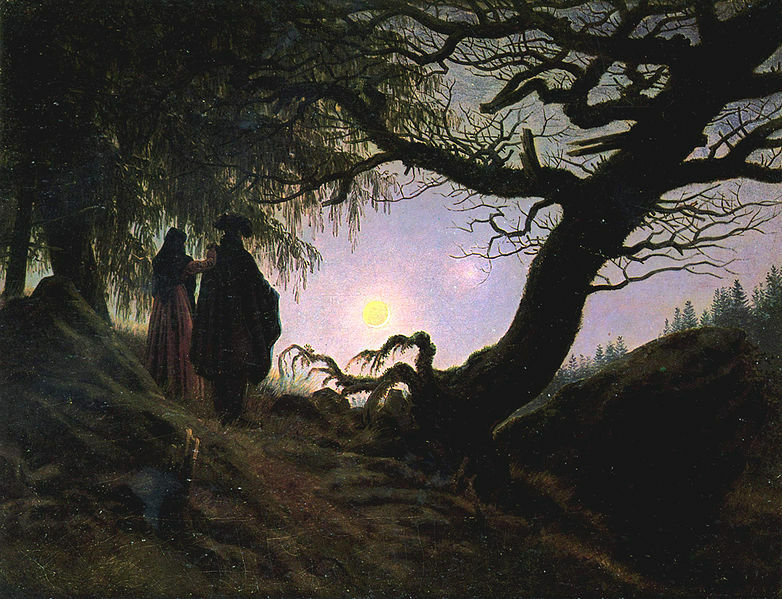 The resulting work is two scenes from an opera-in-progress called “Enigma” which he chose to compose for Erato! And since this is taking place at the time we would normally be presenting our season opening concert, we have decided to let this program take its place. “Enigma” is an electro-acoustic musical theatre work based on the life and death of Alan Turing, the father of the modern computer. His accomplishments in life, and the circumstances leading to his death, contain all the elements for a dramatic theatrical treatment. It is scored for Tenor (William George), Soprano (Catherine Laub), Baritone (Michael Mori) and tape, and features Dancer Josh Beamish. We are excited to be a part of the creation of a bold new work, and thrilled to be working with Vancouver New Music. We hope you can join us.